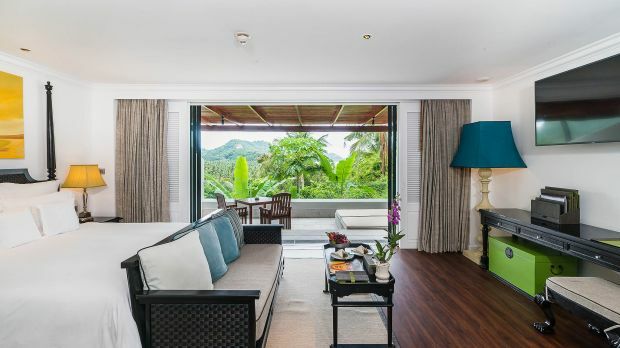 The InterContinental Samui Baan taling Ngam Resort is located within the exclusive enclave of Taling Ngam Bay on the unspoilt west coast of the tropical resort island of Koh Samui. 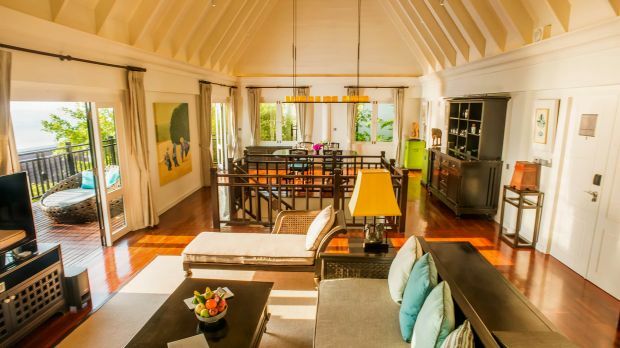 It is a leisurely 45-minute drive from Koh Samui International Airport. A popular destination amongst tourists, you will never run out of activities on this island. From snorkeling and sailing to mountain biking and hiking, Koh Samui holds an abundance of activities for every energy level. 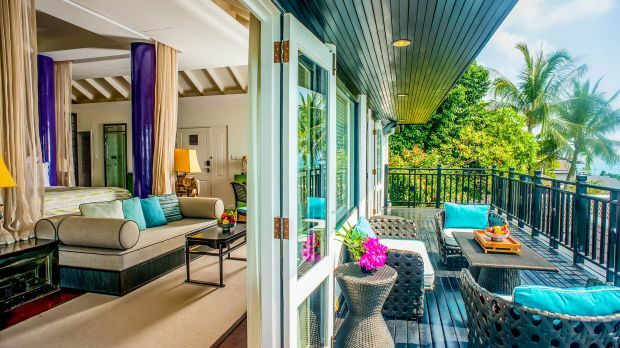 InterContinental’s 79 rooms, suites, and villas are completed with the resort’s signature blend of plantation style furnishing, Thai décor, and contemporary amenities. 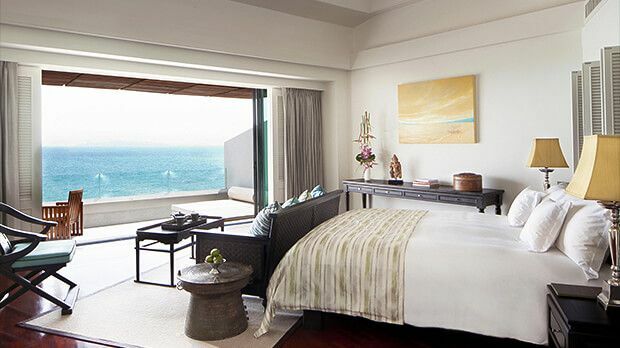 To unwind from the day’s activities, the award-winning Baan Thai Spa by HARNN offers a wide range of traditional Thai, Western, and Ayurvedic treatments. 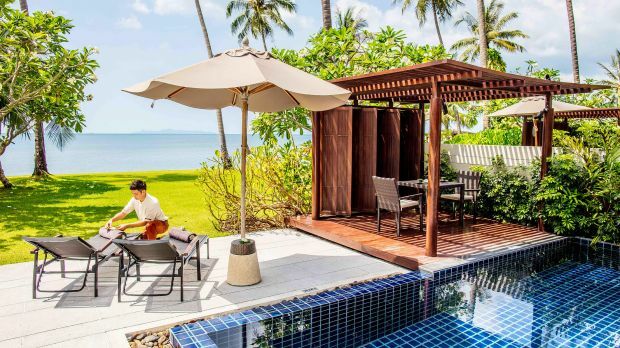 The spa’s signature treatment, Tropical Samui Passage, uses coconuts as the key ingredient to stimulate all of your senses. From coconut oil to its skin-friendly shells, HARNN is committed to delivering you a unique journey. To end the day, experience fine dining under the stars at Flames. 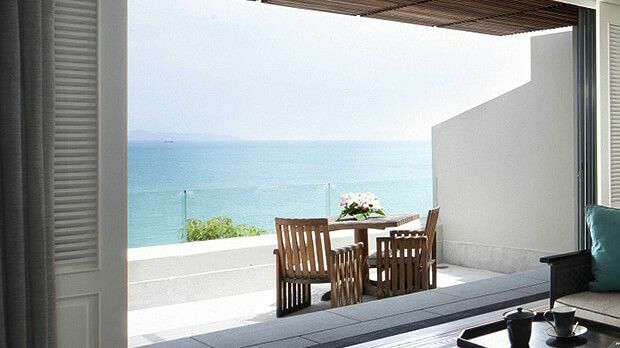 This beachfront restaurant offers a selection of Thai and modern European cuisine. Post-meal, sip on a cocktail while enjoying an unbeatable view of the Gulf of Thailand from Air Bar. 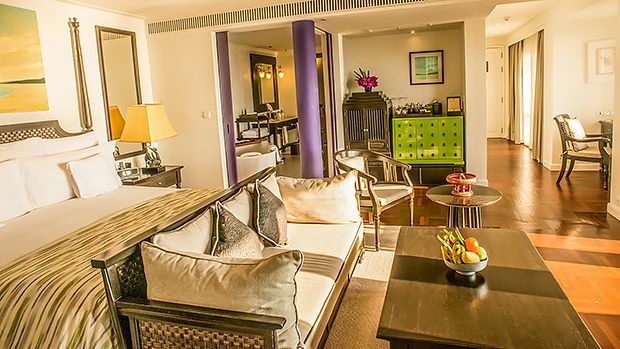 Send an availability request with your requested dates to the InterContinental Samui Baan Taling Ngam Resort.